The ongoing diplomatic and political crisis between Qatar and the UAE, which began in June 2017, overshadowed the UAE-hosted Asian Cup 2019. Qatar’s 4-0 victory over the UAE in the semi-final on January 29, turned into a uniquely Arab political confrontation on social media involving both fans and politicians in the two countries, as well as their allies in the region. Qatar won its first ever Asian Cup on February 1, with a 3-1 victory over Japan in the final match hosted in the United Arab Emirates (UAE). Since the soccer tournament began in 1956, Qatar has participated 10 times, but this was the first time its team had performed so exceptionally, winning every match it played. The victory, which Qataris celebrated in the streets of Doha, was the ultimate snub for Qatar’s political rival, the UAE. Saudi Arabia, the UAE, Bahrain, and Egypt severed relations with Qatar on June 5, 2017. Saudi Arabia, the UAE, Bahrain, and Egypt severed relations with Qatar on June 5, 2017. Soon thereafter, Abu Dhabi gave Qatari citizens 14 days to leave the country and initiated a blockade—now in its 22nd month—on the small natural gas-rich country. The four countries justified the embargo by alleging that Doha had been supporting terrorist organizations and Iran’s policies in the region. The blockade led to significant restrictions on Qatar and the movement of the Qatari soccer players and fans during the UAE-hosted Asian Cup tournament. Since the blockade began, direct flights between Qatar and the UAE have been suspended. Therefore, the Qatari national team was forced to take many detours and experienced multiple delays before arriving in the UAE. 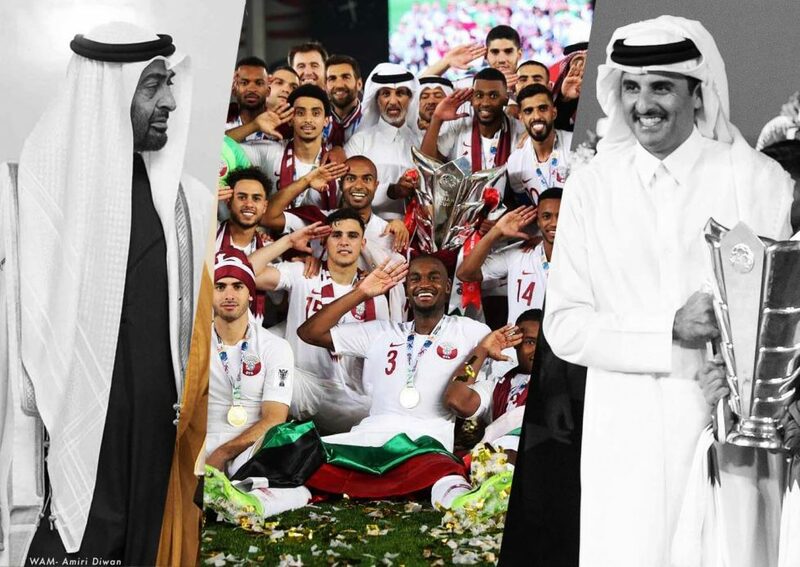 The mounting political tensions between the UAE and Qatar caused the 2019 Asian Cup to receive special attention from fans, the media, and the leadership of the countries involved in the Gulf Crisis. This added attention made the UAE’s defeat even more devastating for its supporters, who booed during the Qatari national anthem and threw shoes and water bottles onto the soccer field every time the opposing team scored a goal. After the game, the UAE filed an official complaint with the International Football Federation to contest the eligibility of two of Qatar’s naturalized players (Sudanese-born Almoez Ali, 22, and Iraqi-born Bassam Al-Rawi, 21) in an effort to retroactively disqualify the country from the tournament. The UAE questioned the integrity of the Qatar Football Association by accusing it of violating Article 7 of the FIFA Act on the Nationality of Players. The International Federation, however, rejected the UAE’s objections. However, this “enjoyment” did not last long. Qatar’s 4-0 victory over the UAE in the semi-final incited a torrent of explosive exchanges between fans and supporters of the Qatar and UAE national teams on social media. The ongoing Gulf crisis, directly and indirectly, politicized the 2019 Asian Cup. The ongoing Gulf crisis, directly and indirectly, politicized the 2019 Asian Cup. Since Qataris were banned from entering the UAE to attend the games, some Omanis and Kuwaitis living in the country supported the Qatari national team by attending Qatar’s matches against Saudi Arabia and the UAE in their stead. This perceived act of betrayal drove the countries and citizens of the blockading countries to “punish” all those who showed support for Qatar through scathing social media posts. Emirati writer Hamad Al Mazrouei tweeted an image of former Iraqi President Saddam Hussein accompanied by a prayer for his soul, a slight referencing the Iraqi invasion of Kuwait in 1990. Al Mazrouei (an infamous columnist, social media figure, and close supporter of Mohammed bin Zayed, the crown prince of Abu Dhabi) ostensibly intended to upset the Kuwaitis who supported Qatar’s national team by exploiting this difficult period in Kuwait’s past, thus opening the door for other Gulf citizens, and the wider region, to do the same. In the video, Al Athbah said that he wished the Qatari team would score three goals for “each island.” Shortly thereafter, he prayed for the soul of the “martyrs of rabia” and praised the Qatari national team for scoring four goals. “The three islands” is likely an allusion to the Emirati islands occupied by Iran, the UAE’s arch nemesis. While “rabia” (which sounds very similar to the word “four” in Arabic) is a possible allusion to the Rabia Al Adawiya Square in Cairo—the site of many political protests in Egypt, one of the blockading countries. 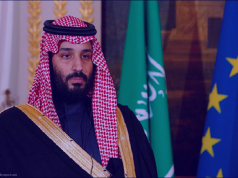 While Al Mazrouei’s and Al Athbah’s comments may have seemed innocuous, they carried a lot of weight for those in the region who understand the allusions behind them all too well. Since winning the 2019 Asian Cup, Qatar has become an important player in the world of soccer. Previously Qatar ranked 93rd in the world. However, after winning every game it played in the Asian Cup this year, Qatar has now moved up to the 55th spot in the FIFA World Ranking. Soon, the small oil-rich nation will become the first Arab country in history to host the World Cup in 2022. Qatar’s recent soccer victory and the social media controversy it produced are likely to prolong the Gulf crisis and cause even further repercussions in the region in the future. Qatar’s recent soccer victory and the social media controversy it produced are likely to prolong the Gulf crisis and cause even further repercussions in the region in the future. However, the 2022 World Cup could also become a source of pride in the Arab World (and bring economic benefit to the Gulf) if Doha and the leadership of the blockading quartet can reconcile their political rift before the international tournament.